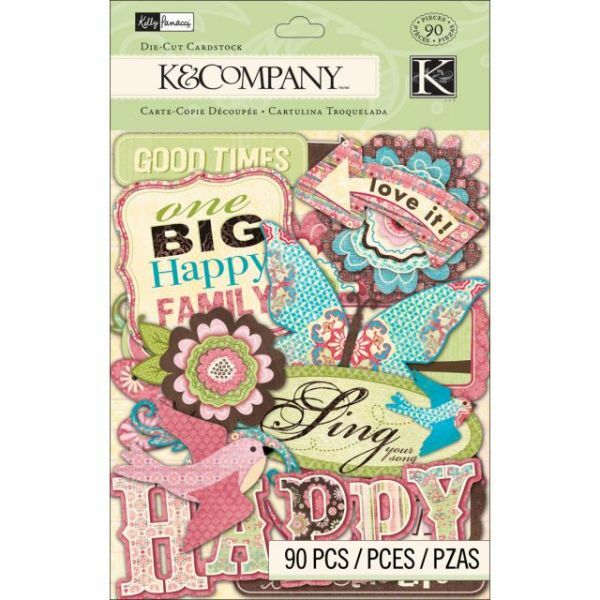 Blossom Cardstock Die-Cuts 90/Pkg - K&COMPANY-Blossom by Kelly Panacci Collection: Die-Cut Cardstock Shapes. Artist Kelly Panacci's Blossom collection celebrates family and friends with beautiful all-occasion florals. This large assortment of glitter accented die-cut words and shapes is perfect for all kinds of scrapbook layouts, handmade cards, gift tags, and various other paper crafting projects! This package contains 90die- cut pieces of varying shape and size. Acid and lignin free. Imported.